Jean often appears here and there in various forms of pop culture, and it always tickles me to see her in such situations. 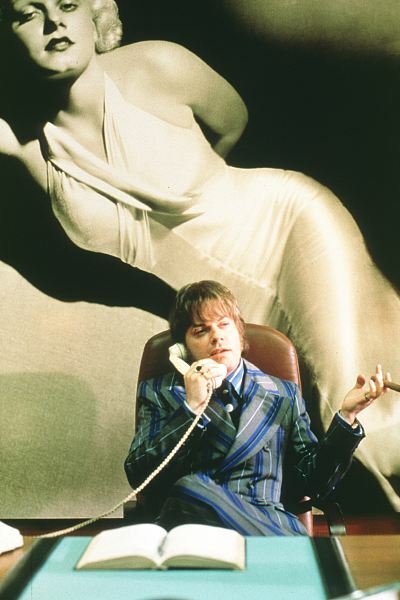 One instance of particular interest to me is a scene in the 1998 glam rock film "Velvet Goldmine" where she dominates the wall behind band manager Jerry Devine, portrayed by Eddie Izzard. 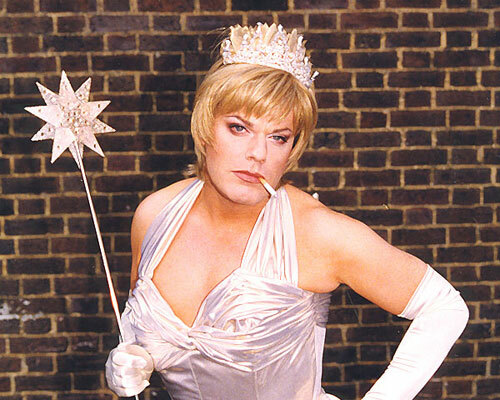 I'm a huge Eddie Izzard fan, so it was a double treat to see them "together" in the film. Eddie is well known for his transvestite talents. But it made me laugh when I recently read on some message boards that there are fans out there who believe that the image of Jean in that particular scene is actually Eddie in drag. This is, of course, a false rumor. Myth busting time! Here is the original publicity portrait, taken by the great George Hurrell in 1933 for MGM's all-star hit, "Dinner at Eight." It is clearly the same photo in the scene from "Velvet Goldmine." 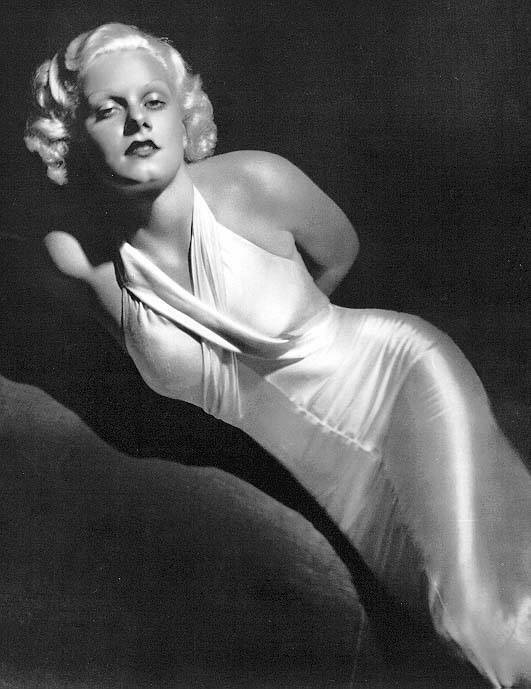 Below is the closest image of Eddie that I could find to further drive home the point that, while he can pull off being a blonde bombshell in his own special way, he is no Jean Harlow. And I say that with laughs, love and affection. However, if you'd like to see Eddie legitimately take on the characterization of a classic film star, albeit male, be sure to watch the 2001 film, "The Cat's Meow," where he portrays Charlie Chaplin. It's a wonderful dramatization that explores the mysterious death of producer Thomas Ince.